The National Association of Landscape Professionals has announced the recipients of its 2017 Safety Recognition Awards. The awards are open to the entire industry and recognize businesses that have an ongoing commitment to safety. Awards were based on the performance period from January 1, 2016, through December 31, 2016. These businesses will be recognized on stage during NALP’s LANDSCAPES 2017 Awards Dinner on October 19 in Louisville, Kentucky. It is also important to note that these businesses benefit from more than just recognition. 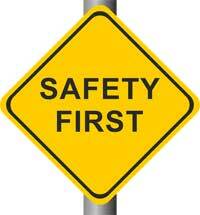 A successful safety program is also a cost-containment program, saving the company money in lower insurance premiums and accident claims. Is the key to employee retention treating them like customers?